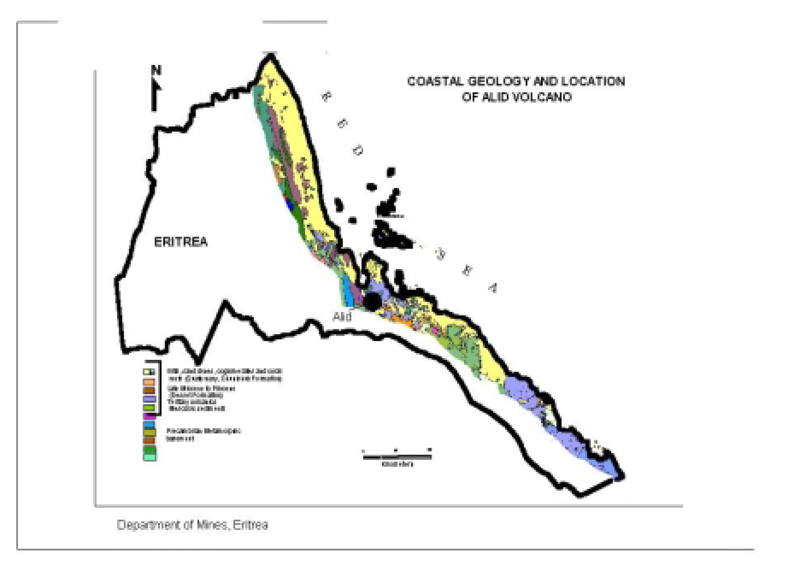 The Alid volcanic area is located about 120km south of Massawa. It is a potential high enthalpy geothermal resource; at least 11 geothermal area have been identified on Alid. Fumaroles and thermal pools are found on the northern half of Alid suggesting that a hydrothermal system underlies most of the volcanic center, An area of 10 km2 has been identified as having a high heat flow. Gas geothermometry has indicated most temperatures are between 190C and 350C with a median temperature pf approxamtely 270C.